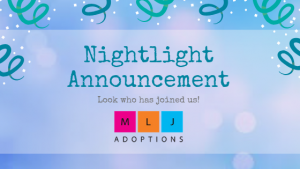 In order to offer clients a wider variety of services and to increase our geographic service area, as of August 1, 2018, Nightlight has entered into an affiliation agreement with MLJ Adoptions, Inc. based in Indianapolis, Indiana. A full merger will occur on January 1, 2019. Many of our Nightlight staff have had the opportunity to work with MLJ in different capacities through the years, and it is because of that experience that we are thrilled to join efforts to serve families. MLJ is a leader in the international adoption field. In addition to their many international programs, MLJ is also known for thinking outside the box to serve more families. To learn more about MLJ, please click this link to visit MLJ’s website. MLJ has a strong program in Ukraine, Bulgaria, Samoa, and several other countries. 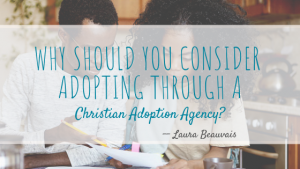 As part of this affiliation agreement, MLJ clients are welcome to consider Nightlight programs, such as embryo, domestic, and foster adoption. 1995 was the first year Nightlight Christian Adoptions brought a group of children from a foreign orphanage for a hosting program. Children from a Russian orphanage had performed a wonderful program of traditional songs and dances for Ron Stoddart, Nightlight’s President, during his visit. He brought that group of children, ages 7-14, to California where they performed at churches, community parks and Disneyland. It was a success, as all of the children who came on that tour, ended up with permanent families. 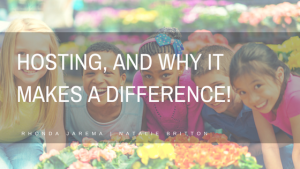 None of the families who hosted or saw the children perform and later adopted them, had any idea that they would be led to adopt after seeing and meeting those children. However, over the 23 years that Nightlight has sponsored tour programs, bringing well over 300 children to the US, the majority of those children have found permanent, forever families here in the US. A few months ago, I was in a Starbucks waiting for my order. A young woman approached me and introduced herself. She had been on one of our earlier tours in the late 1990’s. I recognized her name and we hugged. She thanked me for bringing her on that tour! We reminisced and caught up on her life over the past 18 years. What an impact these hosting programs have had on the lives of the children and families! Nightlight is partnering with Kidsave, a hosting organization, to bring children from orphanages in Colombia to stay with host families throughout the United States this summer. Ten children will be staying in Southern California, experiencing the ocean, bowling, museums, parks and likely Disneyland. When we ask the children towards the end of their stay about their most favorite part of their visit, we have received the same response consistently over the past 23 years. Over and over again, the children speak about the warmth and love showered on them by their host families. They certainly enjoy Disneyland and all the other activities, but it is the relationship they developed with the host family, over a period of a few weeks, that will last a lifetime! Nightlight has hosting programs during the summer and over the Christmas holiday season. Consider opening your home and heart to a child, hoping to spend some quality time with a family here in the US. Even if you are not able to host, there are other ways to participate, volunteering, donating funds towards their activities or the program itself. For those who host and volunteer, it is a wonderful opportunity to share your culture and learn about another culture, while giving a child the chance to possibly meet their forever family. Meet Adéye and Anthony Salem – an incredible couple from Northern Colorado. Through the years, they’ve built a beautiful family together – a family with nine amazing children; three biological sons, and six adopted sons and daughters, some of whom have special needs. Now, they have a new destiny – one involving human embryos. 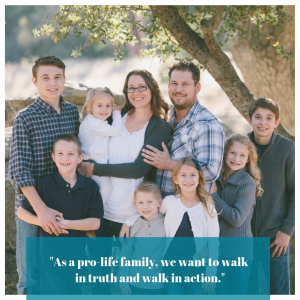 Adéye and Anthony have been matched with four embryos through the Snowflakes® Frozen Embryo Adoption Program at Nightlight Christian Adoptions. Adéye and Anthony would like to share their journey with you. Follow along on social media – both through Nightlight, as well as the Salem family’s personal pages. This week we received two breaking news items from China. The first is that the CCAA, as of February 15, 2011, is now referred to as the China Centre for Children’s Welfare and Adoption (CCCWA). 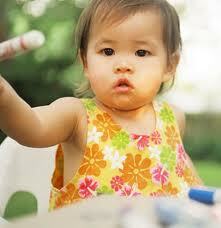 The greater news, however, is that single women are now permitted to adopt from China. Years ago, when single women could adopt, there were quotas for each agency. Now there are no restrictions as to the number of single women who can adopt. The CCCWA is now permitting single women to adopt the 2,000 or so Special Focus Children – children who have been waiting for a family for more than 60 days. The requirements for singles are nearly the same as they are for married couples. 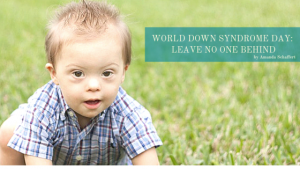 In addition, the CCCWA knows that these children who are older or have special needs will require more attention and, therefore, requires that single women indicate the extra resources they have in place. Most of the requirements are in line with Nightlight’s conditions as well as good social work practice. Program Update: With a population of approximately 80 million people, it is estimated that Ethiopia has between 4 and 6 million orphan. The situation is quickly becoming worse. It is believed that nearly half of Ethiopia’s children will become orphans over the next four years. As a result of Ethiopia’s orphan population, many, many children are available for adoption, both boys and girls, infants and older children, siblings, and children with special needs. Compared to the process of adopting children from China or Guatemala the process in Ethiopia is much simpler. Not only does Carolina Hope Christian Adoption Agency believe that adoption provides couples with the opportunity to build their families, we also believe that it is one beautiful way that Christians can care for Ethiopia’s orphans in their affliction (James 1:27). Our Ethiopia Adoption program will open officially in December. Families wishing to adopt from Ethiopia can submit an application now to begin the process. 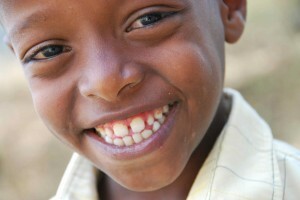 Call (864-268-0570) or email us (office@CarolinaHopeAdoption.org) for details about our Ethiopia adoption program . 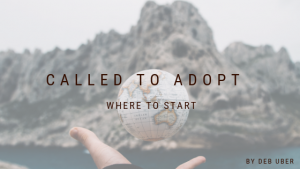 See Orphans, Adoption, and Fuling, China where I connect “caring for orphans in their affliction” with adoption.